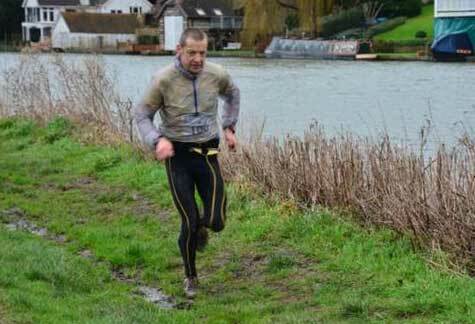 To date gales have not been a feature of the weather that has always been so interesting at Thames Trot. 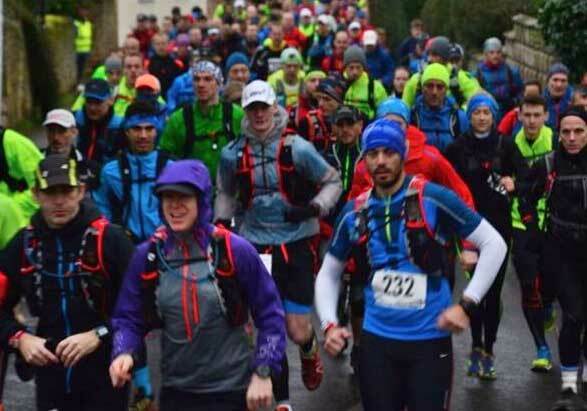 Well that’s not the case anymore as the Thames Trot Ultra 2016 field battled into 40 mile an hour winds made even trickier by the surface made soft by the heavy overnight rain. Not for nothing does the medal say “Human Endurance Defined”, something that every wearer will attest to. 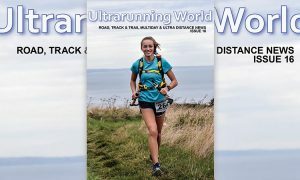 Runners were reporting that in the first half of the race it felt at times as if they were being blown backwards, facing the headwind the whole way between Check Points 2 and 3 being reported as particularly tough. Craig Holgate (pictured right) continues to make this race his own winning again in fine style but conceding that it was the toughest outing on the course. His time of 05:49:19, although not a course record was one of the most impressive this race director has seen, being just a tad slower that his winning time last year and the only runner under the six hour mark. 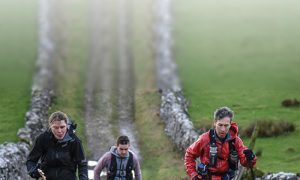 He was in the front group at CP 1 running in company with Scott Forbes and Harold Wyber the latter dropping out at CP3. Scott carried on in 2nd to CP4 but due to the onset of a bug pulled out leaving Craig with a comfortable lead going into the later part of the race. He continued to extend this lead taking his 5th successive victory. 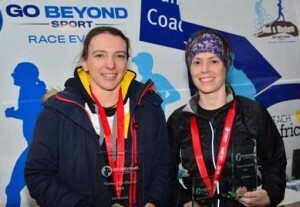 Susie Chesher (pictured left on the right (66)) had another fine run and for the second year won the ladies category and recorded another top ten overall position in 7th and now also leads the Scott Ultra Series, overall and in her category. Despite all this she is probably disappointed that she didn’t dip under 7 hours missing it by just 1 minute and 44 seconds. Charmaine Horsfall (left of Susie) also had a very impressive run finishing 15th overall, 2nd lady and also winning her 35+ class in a time of 07:34:14. Wendy Shaw, running for Brains Trust completed the ladies podium finishing in 07:59:35 also with a great overall result in 27th. The remaining female category winners were Kerry Sutton in the 45+ and with Pam Philpot taking the 55+ and seemed pleasantly surprised with her achievement. As most will attest the weather conditions were pretty awful and so particular thanks to the crew out on the course, the baggage handlers, medal awarders, tea and coffee makers who were out in the weather the whole time and the guys in the vans and mini buses getting the supplies out to the check points, getting people safely back to the finish to where their bags had been safely delivered for their collection. To the management staff of the Hawkwell House Hotel who provided such a great venue to start the race from. 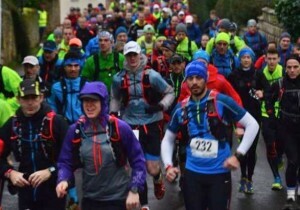 The next round of the Scott Ultra Series is The Shires and Spires Ultra which is based at Lamport Hall in Northamptonshire and in stark contrast to last Saturday we should look forward to the flaming June conditions of the last few years. 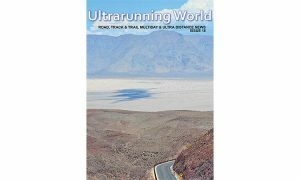 For more information please visit the race website at Go Beyond Ultra. All images courtesy of Go Beyond Ultra.